The Queen and the Duke of Edinburgh stopped by Westminster Abbey on Thursday for, strangely enough, a thanksgiving service (for the 60th anniversary of the Duke of Edinburgh's Award). 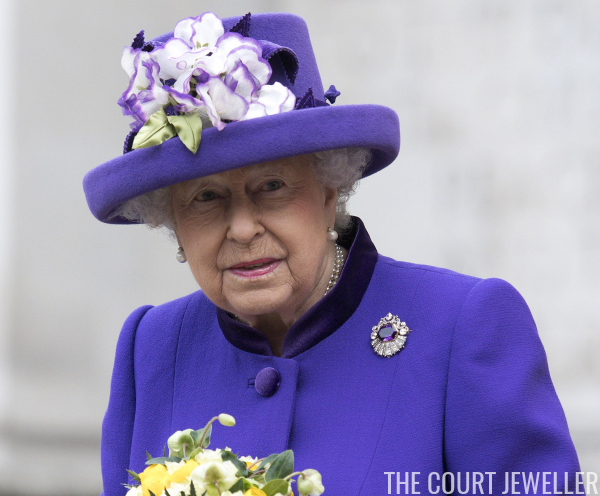 And she wore a brooch with two centuries of royal history: one of the Kent amethysts. Here's a closer look at the brooch. 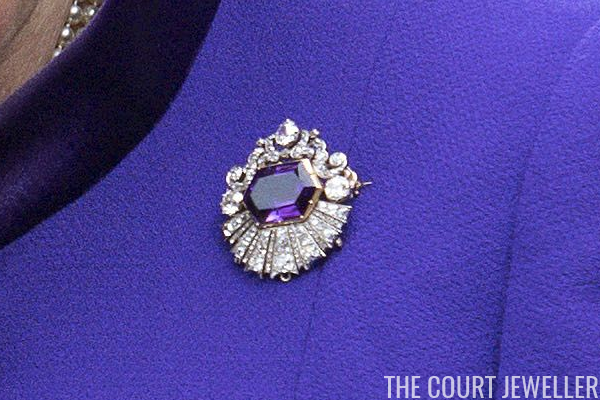 The Kent amethyst suite is one of the oldest -- perhaps the very oldest -- sets of jewelry in the royal collection. 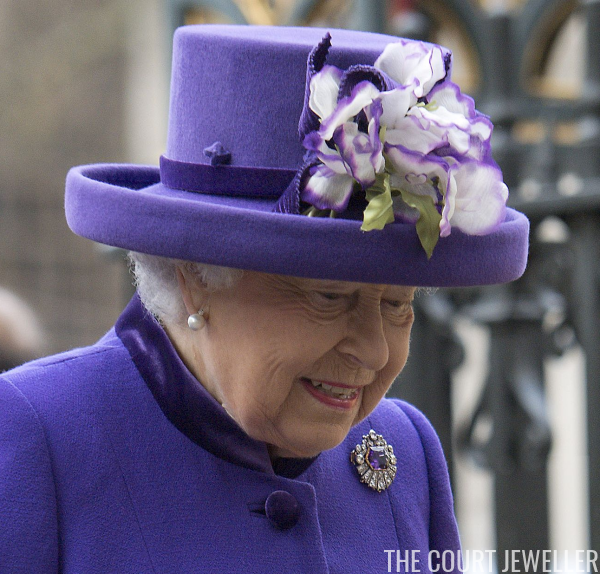 The set includes a necklace, earrings, a pair of hair combs, and three brooches, but the Queen usually wears only this brooch. Leslie Field describes the diamond setting as a "sunray design." The brooch dates to the first half of the nineteenth century. Its originally owner was the Duchess of Kent, daughter-in-law of King George III and mother of Queen Victoria. The jewels were designated "heirlooms of the crown" by Queen Victoria, so the Queen has had them in her collection since 1952.